A National Cooperative Banking Summit was organized in which a large number of cooperators associated with the Urban Cooperative Banking Sector participated last week in Hotel Pride Plaza, New Delhi. But some of the Sahakar Bharati officials who were touted to participate in the seminar were conspicuous by their absence on the first day, though Sahakar Bharati patron Satish Marathe made it up on the concluding day. 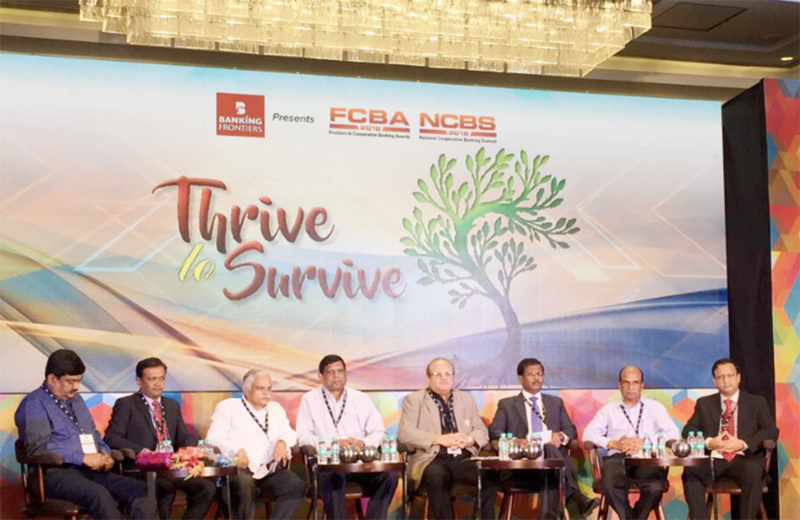 While NCUI C E N.Satyanaryana delivered the keynote address on the occasion, Pramod Karnad, former, MD, Maharashtra State Cooperative Bank led a panel discussion on the subject” Simplifying Business Transformation in Cooperative Bank”. In his keynote address NCUI CE N Satyanaryana explained some of the success stories of the cooperative movement and also explained how cooperatives can play an important role in taking the government schemes to the grass roots level. “India’s Cooperative movement is the largest co-op movement in the world. There are about 8.33 lakhs cooperative societies and around 90,000 PACCS in India”, he informed the august gathering. “He also informed about the meeting of cooperators held with the Vice-Chairman of Niti Ayog in which he was also the one of the members of the delegation. The NCUI training arm NCCE is conducting 10-15 programs for the representatives of the cooperative banking sector every year”, he added. A K Shah, MD, Fingrowth Cooperative Bank Ltd said” if we want to do business transformation we have to change our mindset. Installation of CBS in the bank is not transformation. There are about one thousands co-op banks which are having a business of over Rs 100 crore but they are not willing to change themselves because they have neither the required finance nor the manpower. 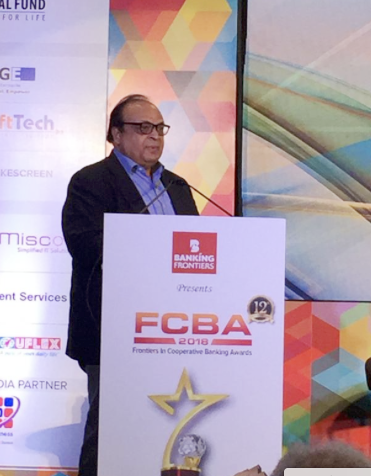 Commenting on business transformation, Umesh Chand Asawa, MD, A P Mahesh Cooperative Bank said, “It is a complex thing which is time taking and according to my opinion it may take three years to complete the process”, he asserted. Speaking in one of the sessions, RBI former ED, V.S.Das said ”In India there are about 1500 UCBs but we don’t have an Umbrella organization like other countries. National Cooperative Development Corporation NCDC has pledged Rs 200 crore for the proposed Umbrella Organization for urban cooperative banks and 100 crores will be collected from the banking sector, he informed. Among other things, Das said the membership for the Umbrella Organization is voluntary not compulsory. A three-day event from 7-9 September concluded with many sessions. A large number of representatives from the Urban Cooperative Banking sector took part in the proceedings with great interest. The event was organized with an objective to give UCBs representatives a platform to have discussions on several issues.